The coming of spring heralds the time when birds are “twitter-flittering” and building their nests in preparation for their eggs. We’ve been welcoming birds into our garden since we bought our home in 1993, and encourage them to call our garden home as well. 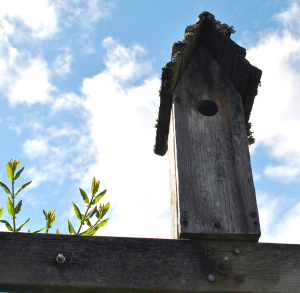 We do that by providing them both nesting sites and the materials to build them. Birds are very resourceful and adaptable and will use any materials on hand, including, sadly, plastic and other undesirable items. 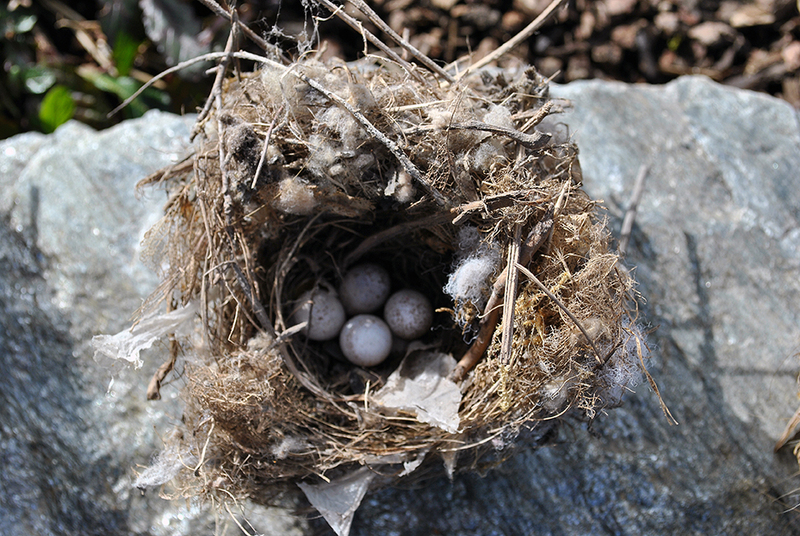 This nest (a failed attempt at a second hatching), found in late fall when cleaning out our nesting box, is a good example. Now, I work to provide the birds with more suitable fare. Online research, my training as an urban naturalist, and careful observation of the birds in my yard gave me the knowledge I needed. Dead and hollow trees are rare in urban gardens, resulting in fewer opportunities for cavity-nesters. The fix is to put out nesting boxes. Various birds have different requirements for box dimensions, location, and the diameter of the opening. Check these resources from Wild Bird Watching to know what works best for your area. Other birds nest in dense shrubbery and trees, and some even on the ground. 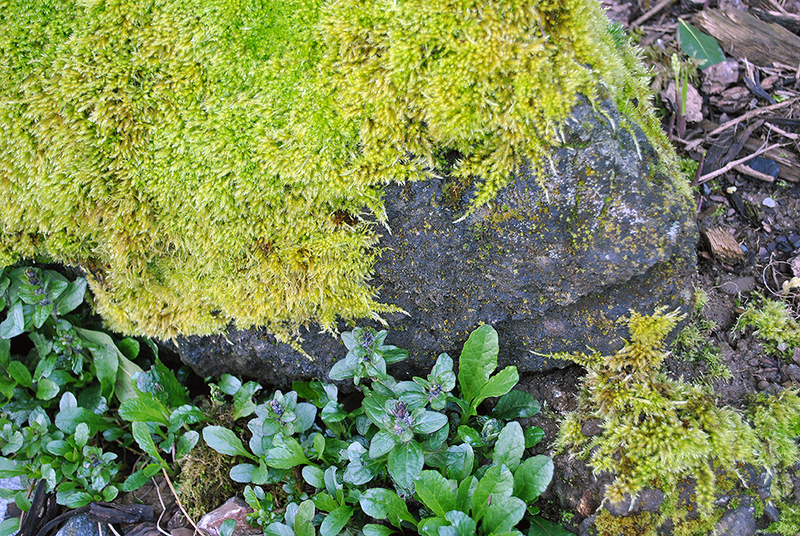 Be sure to leave a few wild, less-manicured areas of your yard to accommodate them. 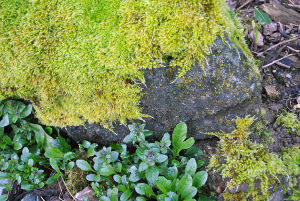 The next step is to refrain from tidying your garden too much in the fall. 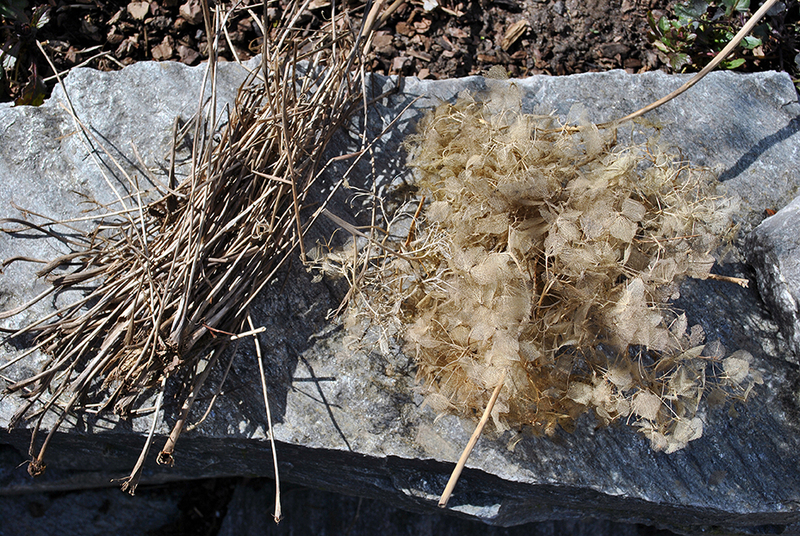 Most wild birds use a variety of twigs, leaves, and dried grasses as the base for their nests. 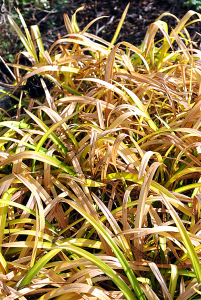 By leaving some perennial grasses and flowers untouched and allowing them to dry, you can be sure the birds will have ample supplies. 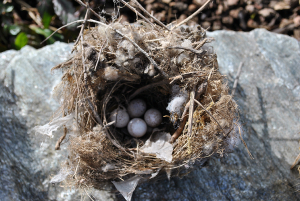 A number of birds like to add soft materials like fluff from flowers, moss, feathers, and found bits of human-generated things to the final layers—literally “feathering their nests.” I can see the things my resident birds use when I clean out our nesting boxes in the fall. 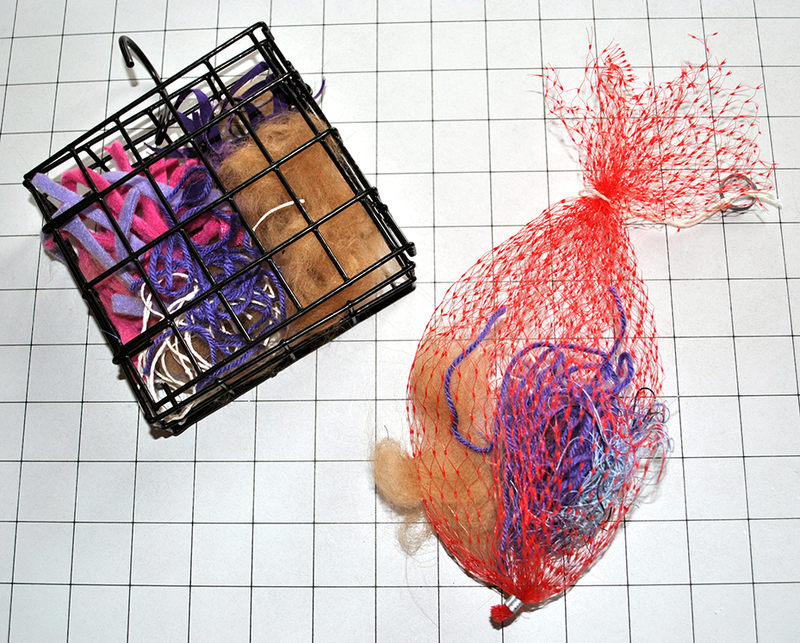 To help them out, I provide them with a variety of soft things like bits of yarn, thread, thin strips of fabric, and—a favorite of many birds—dog and cat hair (though never use fur from pets that have been treated with topical flea killers). I collect the threads and such as I’m working on craft projects over the winter so I’ll be ready for spring. 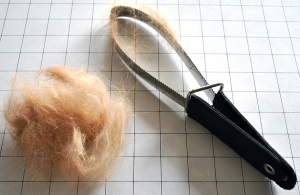 Since my golden retriever sheds like crazy, it’s easy to get handfuls of fur from brushing her with a wire brush or shedding tool. You’ve likely heard that dryer lint is good as well, but the experts feel it gets too hard and crumbles after it gets wet. 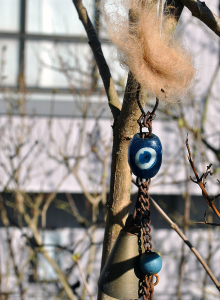 As soon as I spy some birds with twigs in their beaks, I put out my bounty. 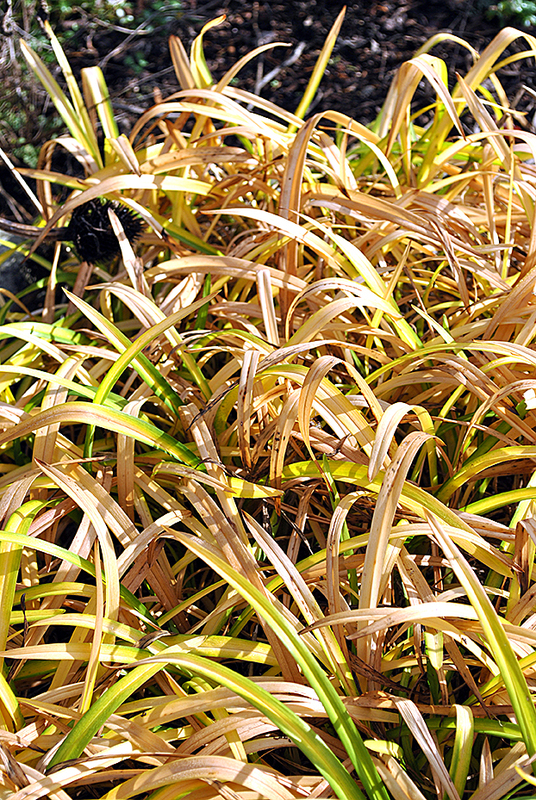 I cut back the grasses and distribute them around the yard. The man-made materials get placed in clean, empty suet cages and mesh bags recycled from buying onions in bulk, then hung in trees near my feeders. Since the dog hair is a daily commodity. I often put loose clumps of it in the trees as long as it’s not pouring outside. The dog hair has been the most popular item, but I know I’ll be seeing bits of the other materials when I clean out the nesting boxes this fall. If you’d like to learn more about providing habitat for the birds in your garden, see my previous post, Creating a Backyard Wildlife Habitat, and visit the website of the National Wildlife Federation. You will be rewarded with the sites and sounds of baby birds—happy nesting! Fabulous info Andie. I always put out dryer link but cat hair is going to get a place in the trees. I’ve tried leaving out dryer lint, and my birds never took it. Now I know why. 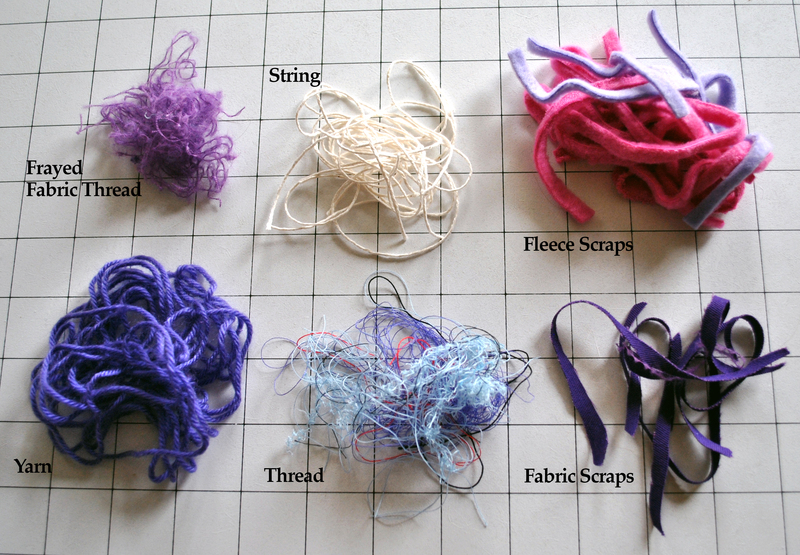 I’ll save my threads and yarn and fabric scraps for them now. Thanks. Thanks. The best length for yarn, string and thread is 4–6 inches. I can’t wait to see some bits of purple in the nests when I take the boxes down this fall. I think I’ll experiment with putting out some natural colors (browns, tans) to see if they are more popular. I imagine birds see color—since the males are so colorful—but I need to research that bait. Great post! Thank you for sharing your tips to help the birds. Wildlife gardening is a wonderful thing. I pinned your post and ideas. I just read an article on a FB page for birders. Suggesting that lengths of string or yarn or ribbon or strips of fabric should be short, so that birds, especially nestlings can’t get their little feet/claws caught in them. Maybe 2-3 inches would be best? Thanks! New info is always coming to light. I appreciate the update.